The Inkjet processing method can be used for producing cheap Solar panels. It makes it possible to produce solar panels at lower temperatures, which further helps in reducing costs. Perovskites is a material that can be mixed with liquids and sprayed on surfaces. A perovskite solar cell is not only cheaper to manufacture but is also reporting an improvement in efficiency levels to 22.7% currently. 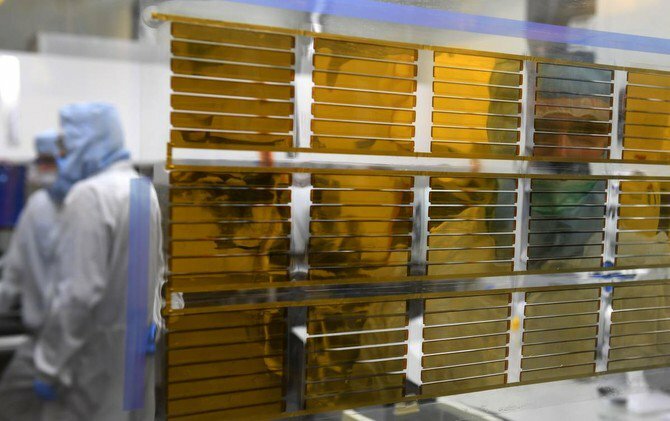 Perovskite solar cells have thus become commercially attractive. Earlier perovskite could be made only under high temperatures using materials that could withstand extreme heat like glass. The inkjet process has the potential to further reduce costs and making it more versatile. With the discovery by a 36-year old Polish physicist and businesswoman Olga Malinkiewicz, high temperatures are no longer required to coat anything with a photovoltaic layer. As the cost of this material is lower, it is being tested to be used for a wide range of applications. It can be used on anything – laptop, car, drone, spacecraft or building for generating electricity. Recently, a Swedish construction group is testing it to be used on the facade of one of its buildings in Warsaw. It is also being tested at a hotel in Japan. Perovskites have proven successful even on surfaces that receive little sunlight. These are flexible and hence very versatile. A standard panel around 1.3 square meters could cost you $57 but would power a workstation for one full day. If proven to be successful, the potential of the technology is enormous.